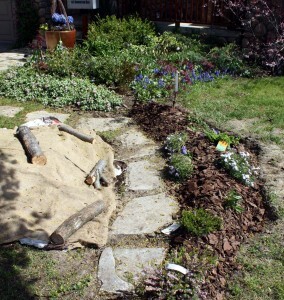 Another day spent toiling in the garden, creatingÂ a new flower bed next to the path I carved out ofÂ the front lawnÂ and tending to the existing beds. Whether it was reseeding the bare patches of my lawn or planting carrots and basil, it was a productive day. And when I looked up to survey what was growing in the garden I was astonished to see so many plants in full bloom (or very close to it). 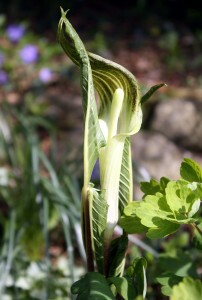 I still feel as if it’s too early in the growing season for plants to be flourishing. Particularly with the temperature dipping so close to the freezing mark at night. 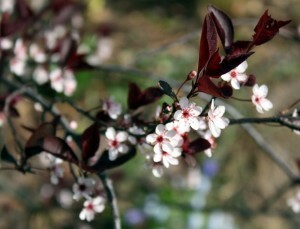 But today we had optimal Spring weather–the temperature hovered around 20 celsius and the sun was out all day. 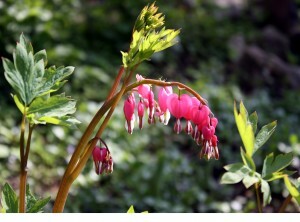 I was pleased to see my native plants, Jack-in-the-pulpit, red trilliums and bleeding heartsÂ thriving. One of the rhododendrons was also beginning to show its soft pink blossoms. 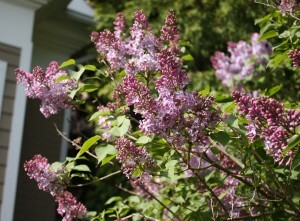 The lilac is bursting with blooms as is the purple sand cherry. 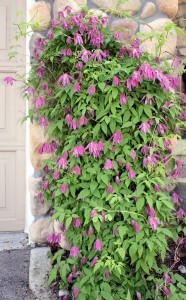 The show stopper has to be the clematis sitting growing beside my garage. It got blown over in the hail storm we had this past weekend, but this plant is a fighter and once I staked it, all the crimson blossoms opened up. 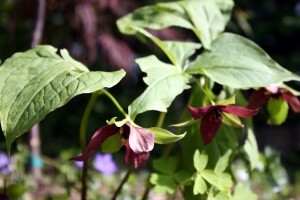 I’d love to see some pictures of your garden, so send them to me if you get a chance!